Dental implants have revolutionized the traditional approach to dentistry and represented a breakthrough that was unthinkable only a few years ago. Whether in terms of health, comfort or aesthetics, the replacement of a missing tooth with a dental implant brings significant benefits, also thanks to the experience of our implantologists and the Straumann® Swiss implants with whom we exclusively work with. Regarding dental prostheses, the availability of Adent 3D – Dental Design Department internal laboratories – offers direct proximity to dental technicians. This privileged relationship between patient, dentist and technician allows the realization of implants and dental prostheses of “Swiss Made” aestheticism and excellence. Aware of always being at the forefront and to follow the technological evolutions, Adent has acquired six high-end intra-oral scanners and the latest technology for its clinics and this also includes a machine for the Adent 3D internal laboratory. These two devices are complementary and revolutionize the production line of dental prostheses. A dental implant is an artificial root – sort of titanium, zirconia or polymer screw – inserted into the jawbone to replace an absent tooth. 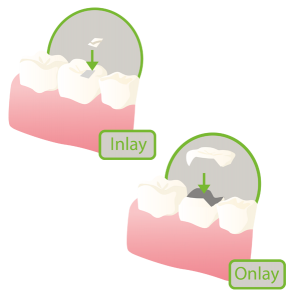 The implant serves as a support for attaching various elements: a dental crown, a prosthesis (partial or complete). It stabilizes and considerably improves the comfort of life of complete denture wearers. Indeed, the dental implant offers optimal hold for a lower prosthesis and eliminates the palate plate for the upper prosthesis thus rediscovering the flavours. The same implant can also change function during a lifetime: initially, it can serve as a support for a crown, then it can become the attachment of a mobile prosthesis thereafter. This surgical intervention is common, simple to apply, and consists of some kinds of reverse extraction. Who is the implant meant for? 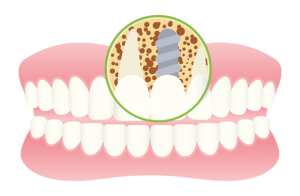 Dental implant is for anyone who has no teeth and has enough bone in the jawbone to support the implant. Good quality and quantity of the jawbone is one of the main requirements. Good general health is also important, and more important than age. Dental implant placement may be contraindicated in some cases of chronic disease. The total duration of the treatment depends on many factors. The following information is for illustrative purposes only. In practice, healing and implant placement takes between 3 and 6 months. The waiting period may vary depending on the complexity of each case. The crowns are made by the artisans of our Adent 3D laboratories and our partner laboratories. This work is tailor-made, carried out in collaboration with the patient, the dentist and the dental technician. The colour is selected according to your smile. 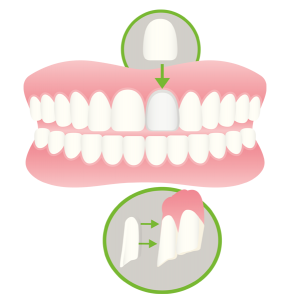 The bridge, as is commonly, is a dental prosthesis that can replace one or more missing teeth. This prosthesis can restore aesthetics and comfort in the mouth. The abutments of the dental bridge are generally located on both sides of the edentulous space and are in the form of implants or milled teeth. It is on these pillars that the bridge rests. It is fixed and cannot be removed. Good oral health is essential for the longevity of this dental prosthesis. Regular control and descaling is required by professionals. Who is the bridge intended for? 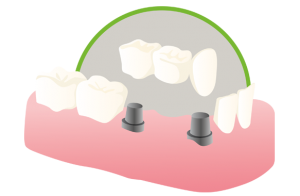 Anyone who has lost one or more teeth may use the bridge to fill the missing space, except for the contraindications mentioned by the dentist. 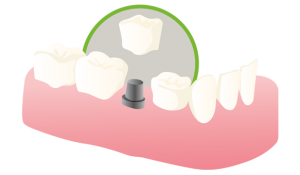 The dental bridge can repair damaged teeth or replace missing teeth. The dental prosthesis prevents movement, receding of gums and possible loss of other teeth. Chewing is facilitated, thus promoting optimal digestion. The total duration of the treatment depends on many factors, which only your dentist will be able to inform you according to your personal situation (absence of one or more teeth, placement of dental implants, etc.). The price can only be fixed after a thorough check by one of our qualified dentists. He will provide a detailed quote, according to the treatment plan discussed. Composites are materials in the form of very aesthetic pastes or liquids and allow invisible restorations of worn, broken teeth, using a multitude of shades. Owing to progress made in recent years, they are used for a large number of restorations of small to medium importance, both for the anterior and posterior teeth. Other important advantages in addition to the aesthetic appearance, it is not necessary to remove a lot of healthy dental substance to be able to insert a composite filling.